Welcome to The Crime Lounge, tell us a little about yourself. I live in Nottingham, I work two jobs and spend most of my time in front of a computer. I could build an awesome den out of all the books I own. My favourite pen is a glow in the dark skeleton. I don’t have a life because I am too busy reading. 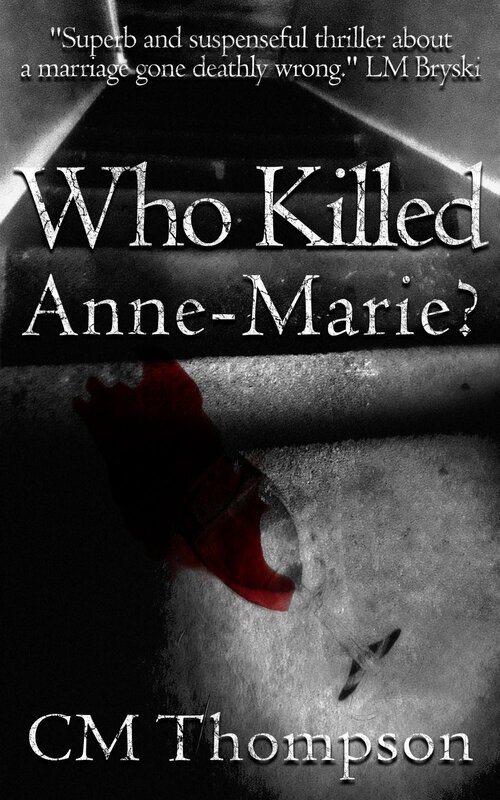 Who Killed Anne-Marie is the story of Daniel and Anne-Marie’s marriage. It isn’t just on the rocks, it’s about to go six feet under. Anne-Marie Mills is out of work, out of love, and out of whiskey. Everyone else is out of patience. When Anne-Marie is found dead after a drunken fight, Daniel sinks deeper into depression and pizza, struggling to cope with his own demons, her family, and the suspicious minds of his neighbourhood. But who or what really killed Anne-Marie? I started writing What Lies in the Dark as part of my MA dissertation. I graduated and abandoned the novel. For three years it sat untouched. Then in January 2014 I decided to do three improbable things, I entered What Lies in a Hookline novel competition*, a never-finished novel Fractured Voices in a Myriad competiton and I planted daffodils (wrong planting season) I told myself if nothing happened, I could abandon them and possibly writing as well. I didn’t shortlist on Myriad. But the daffodils started to grow. My first chapter was shortlisted in the Hookline competition, they wanted to see the entire book. I had a few weeks of reworking it and fleshing out certain parts, I was finally interested in writing again but told myself it wouldn’t win. When I received a voicemail from the editor of Hookline, I really thought she was calling me to tell me my book was being withdrawn, too many bad words, too much disgusting detail. But instead it was to tell them that three books all ranked fairly equally with the book clubs that year and Hookline were interested in publishing all three of them. One of them was mine. * Hookline used to run a competition where MA writers could submit the first chapter of their novel, the judges were book clubs across the country who then chose which novels they wanted to see more of and ultimately a novel to be published. Hookline still works with book clubs and MA writers but has changed their competition. Always keep a notepad and pen by your bedside table. Book you wished you’d written? The Game Of Thrones Series – then I would know how it ends arrgh! Mostly now I dream about writing and actually finishing a third book. Hopefully it won’t take as long as the last two. How can fans connect with you?